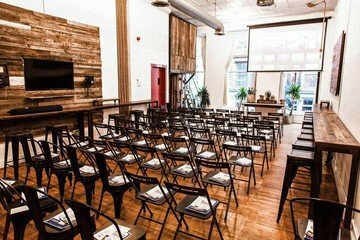 This cozy yet spacious corporate event space in Soho is by no means out-of-style. 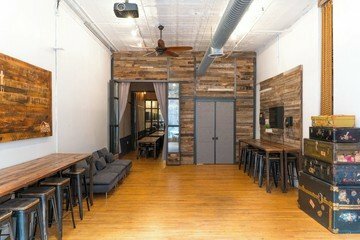 The modern design and custom-made furniture (with wood taken from actual barns across the United States) mixes a country feel with clean, contemporary design, which means that when you decide to opt for this space for your next offsite event, you will be both impressed and comfortable. 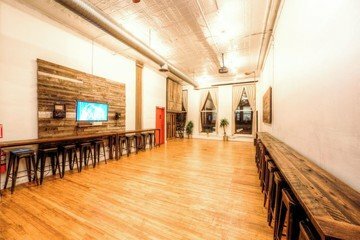 The corporate event space in NYC is extremely versatile and the layout can easily be arranged to perfectly fit your purpose when you rent this room. 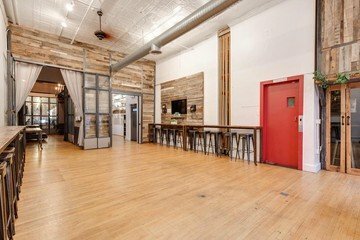 You will find that this studio can be adapted to support countless types of gatherings, including training sessions, corporate presentations, product launch or holiday parties, and especially creative workshops and meetings for a group of up to around 85 people. 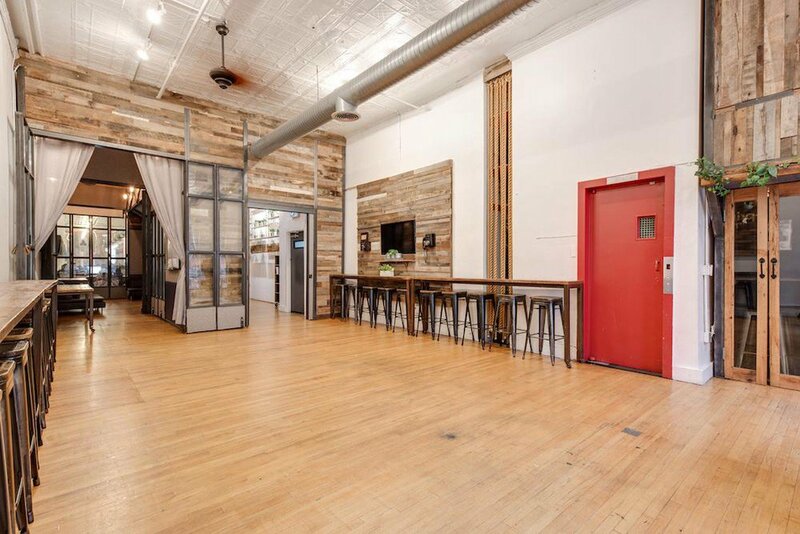 Any work occasion will be naturally elevated from ordinary to extraordinary when you rent this space. 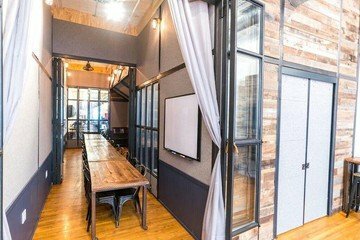 In addition, this space comes extremely well-equipped; you won’t have to step out into the cold NYC weather for any meeting supplies! The event venue provides a 40” TV, two projectors, sound system and microphones, Wi-Fi and printer access, whiteboard, pens, paper and flipchart for all meeting hosts. 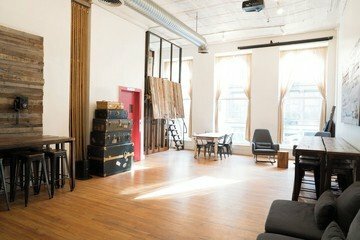 The space also provides free coffee, tea and water in addition to the options of lunch, snacks, and soft drinks for extra charges. You truly won’t have a thing to worry about forgetting when you rent this room. 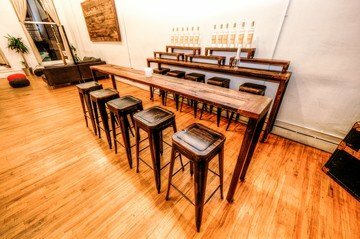 Our space is decorated with custom-made furniture taken from actual barns across the US. The space features a DJ booth overlooking the venue and also modular furnishings designed to be used for events of all kinds. Multiple arrangements can be created to host any type of event from a corporate presentation to a holiday pop-up shop. The Lounge/Catering/Conference rooms are located adjacent the main hall and is comprised of 2 rooms that can be joined or kept separate according to your needs. It can be converted into a lounge for a more comfortable arrangement, it can serve as a catering/bar area if you'd like to keep those functions away from the main hall or it can be divided into 2 separate rooms to serve as break-out rooms. Your possibilities are limited by your imagination. + Fiber-Optic 1000 Up/Down Internet. The space itself was a good size and well presented. Unfortunately there were consistent problems with the air conditioning, and this made the room very uncomfortable through the afternoon sessions. On the final day, there were also some challenges with the lighting. Overall a good space, with good facilities and a great location.